Rent that you acquire from a property will be taxed in India irrespective of your residential status. The rental income is considered a part of the total income. In case you exceed the threshold limit of the total income you will have to file a tax return. 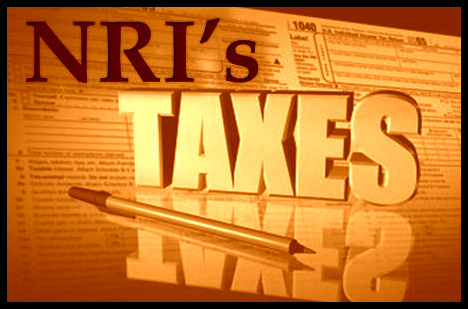 The rent may be additionally taxed in the NRI’s country of tax residence. However, if the country of residence has a double taxation avoidance agreement (DTAA) treaty with India then you can avoid paying tax in the country of residence while filing your returns. Municipal taxes paid during the year and interest payment on housing loan are counted under deductions. There is a standard deduction of 30% of the net rent that can be availed for maintenance and repair work without considering the actual expenditure. Apart from these deductions, one can claim the housing loan principal repayment, stamp duty and registration charges under the Section 80C. However, NRIs are not eligible for certain deductions according to the recent changes made in the income tax laws. For instance, if you are an NRI; you cannot invest in the Rajiv Gandhi Equity Saving Scheme. You will be subjected to a higher payment irrespective of a disability or medical issues. Moreover you cannot enjoy the benefit of royalty income. In the case of Tax deductible source (TDS) you will have to pay a higher TDS of 20% even if your property is worth less than Rs 50 lakhs. Here the treatment of tax is similar as for residents. If you have only one property and it is vacant, it will be considered as self-occupied and there will not be any income for that house. You will be eligible for Rs. 1.5 lakhs interest payment for that property. If you have more than one property, one has to be shown as self occupied and other properties have to be considered as rented out. Even if the property is vacant, there should be notional income added to your income for that property. NRIs are exempt from wealth tax on a property that has been rented for more than 300 days. Also, one vacant house property can be declared as self-occupied property and is exempt from wealth tax. The value of second and subsequent vacant properties will be subjected to wealth tax, at the rate of 1% on the value in excess of Rs 30 lakhs. If you sell a residential property after three years from the date of purchase and reinvest the proceeds into another residential property within two years from the date of sale, the profit generated is exempt to the extent of the cost of new property. If you sell a residential property after three years from the date of purchase and invest the amount of capital gains in bonds of NHAI and REC within six months of the date of sale, you will be exempt from capital gains tax. The bonds will remain secured for a period of three years. Funds in NRE or FCNR accounts are freely repatriable and hence there is no need for any approval from regulatory authorities. However, in case of an NRO account, funds can be repatriated only upto a maximum of USD 1 Million (approx. Rs.5 crores) per financial year. You’ll have to fill up form 15CA, which is an online application form and form 15CB (from a charted accountant) which certifies that you have paid necessary taxes on the amount that is going to be repatriated. Submit both the forms to an authorized agent or bank which will fetch you foreign currency and repatriate the same to your overseas bank accounts.